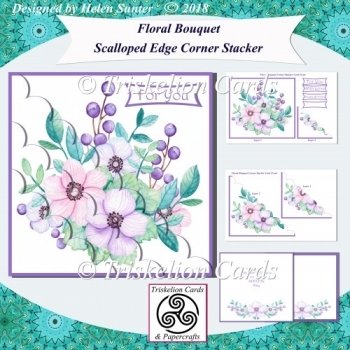 Quick and easy 7 x 7 inch card front with a beautiful watercolour floral bouquet image. Several sentiments, With Love, For You, Happy Birthday, plus one blank sentiment tag for your own modification. Also includes a blank insert and one with wording: Especially for you on your SPECIAL day.